At our law office in North Hills, California, clients receive personalized and highly responsive representation from an experienced attorney. The founder of our firm, attorney Darrell C. Harriman, handles each case himself to make sure each client receives the quality representation he or she deserves. 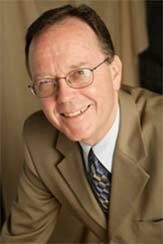 In an approachable manner, Mr. Harriman explains the law to his clients clearly and plainly. He fosters a friendly and welcoming environment in which his clients can speak freely and openly about their legal concerns. When clients come in for a consultation, they meet with Mr. Harriman. When they have a question, they get a prompt response from Mr. Harriman. Whether a case is in the process of preparation, negotiation or litigation, Mr. Harriman is right there by his client's side every step of the way. Estate planning services for individuals and businesses. The goal of estate planning is to avoid unnecessary taxes, distribute your assets according to your wishes and ensure that your pre-death needs are seen to in the event that you become ill or disabled. We have many estate planning tools at our disposal to help clients with their estate planning needs, including trusts and wills and conservatorships. I handle all cases personally, meeting with clients periodically throughout the legal process to ensure satisfaction and meaningful results. I am detail oriented, and my staff and I work hard to resolve cases in a timely and efficient manner. As someone who believes strongly in the importance of hard work and integrity, I have helped thousands of clients find creative solutions to complex legal challenges. I am pleased to assist individuals and businesses in a wide range of legal matters that include probate, estate planning, real estate and business law.